As each day passes, you get closer and closer to meeting your little bundle of joy. You’ve read every guide geared toward preparing for baby, and you couldn’t be more excited to see his or her face for the first time. Some of those days are passing more slowly than others when suddenly you start to feel strong contractions. Does this mean labor is starting? 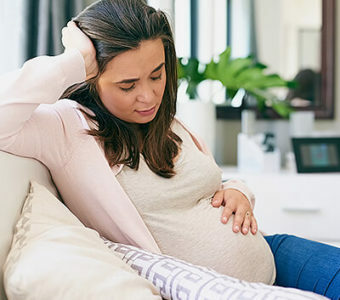 Braxton Hicks contractions, sometimes referred to as “false labor,” are extremely common and — while frustrating and sometimes uncomfortable — shouldn’t cause you to worry, says John Parker, M.D., FACOG, obstetrician-gynecologist at OhioHealth. They can occur in both first-time and subsequent pregnancies and even quite early in your pregnancy, he says. 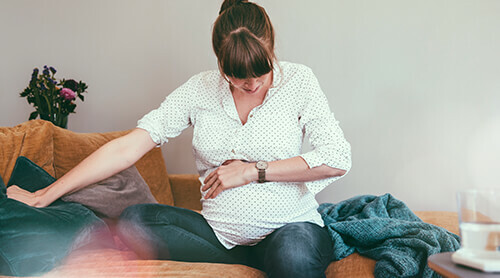 The main differences between Braxton Hicks and true labor contractions are that the uterine contractions during “false labor” do not result in the cervix dilating, which is necessary for delivery. False labor will stop after they have started. True contractions will progress. With true labor contractions, you may also notice a “bloody show” and your water may break. If your contractions occur before 37 weeks’ gestation, your doctor will want to ensure you are not in pre-term labor. If you did have pre-term labor in an earlier pregnancy, you are more at risk for it occurring again. Pre-term birth occurs in about 1 in 10 infants and can cause development delays and other serious concerns. If the contractions are painful or becoming more frequent (more than four times in one hour), you should see your doctor right away, Parker says. • Write down the time between contractions so that you can provide detailed information to your doctor. • Change your activity. Once you start walking around, do they stop? Contractions that could result in labor will continue regardless of your activity level. Braxton Hicks may cease. • Talk to your doctor if your Braxton Hicks contractions continue and are uncomfortable, suggests Parker. There are various medications and treatment options that can help you be more comfortable throughout your pregnancy. 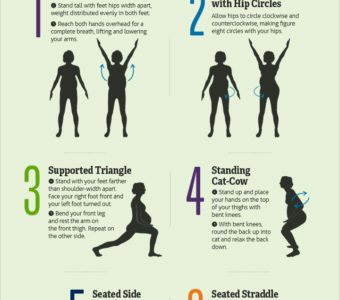 Want to learn more pregnancy tips? Get all of our best advice here!